PhotonVPS Windows Cloud Server includes Lightning Fast Distributed Storage backed by SSD, DDoS Mitigation, Proactive Server Monitoring. Select the Operating System of your choice. 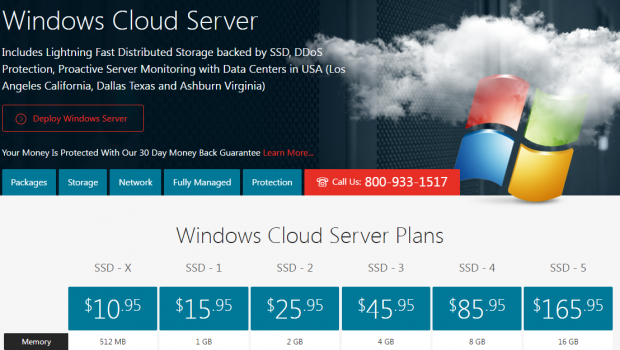 PhotonVPS offers Windows 2003, Windows 2008, Windows 2012. After your order is placed, the server will be created automatically. Average deployment time for Windows servers is 1 hour or less! PhotonVPS utilizes Tier4 facilities for its network paths along with its servers. PhotonVPS’s geographically located data centers will allow you to target users in Asia, North America, South America and Europe. PhotonVPS has over 100 Gbps+ available with a minimum of 20 Gbps to each provider that we peer with. All Core Routing and Distribution are Juniper and Cisco grade hardware, which allow PhotonVPS customers to upgrade at a moment’s notice. PhotonVPS offers both 100 Mbit and 1 Gbit port option. On SSD 4 and SSD 5 packages, clients get the option of the 1 Gbit port. As a Tier4 operator PhotonVPS has route optimized all PhotonVPS traffic to specific regions. This has allowed PhotonVPS to deliver media driven needs and rich content to end users at the fastest speeds possible. All PhotonVPS windows vps packages come with remote desktop access. Remote desktop can accessed using the „Remote Desktop Connection“ application that comes installed with Windows. You can also access remote desktop on MAC by using the app provided by Microsoft. Windows Cloud Servers come with Remote Desktop access. All PhotonVPS packages come with free 10 Gbps DDoS Protection. We utilize state of the art network appliances and intrusion detection to stop the attacks and keep your server online. Your server is DDoS protected against all different levels of attacks including Layer 3, 4 and 7. We research and collect the best websites and online services for different categories to help you save time and make informed choices. You can find alternatives to this entry by viewing the parent category with all entries. If you want to suggest a website we haven't listed yet you are very welcome to submit it via the contact form. We strive to be unbiased and objective. We just love to compare prices and features to be able to find the best possible solutions for the services or products we need. We spent hours and hours searching the web and creating excel tables because we almost never could find a complete overview of all the services or products in a certain field. After collecting all this information and saving it into our bookmarks we found that sometimes the bookmarks or files got lost or mixed up so we decided to publish the information on this website to share it with friends and other internet users in a clear and easy to read format.